The height of the fall season is just around the corner, Halloween! There is only one more week left for Zionsville, IN Halloween fun so make sure you pack as much fun stuff in as possible this week before the season is over! Here are a few spooktacular events this week and on Halloween for you and your family to enjoy. Boone Village Halloween Party. Come on out to the Annual Boone Village Halloween Party this Thursday, October 29th, from 5:30pm-7pm. 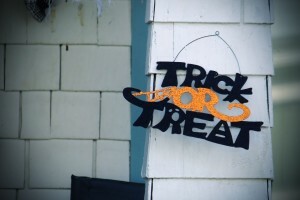 There will be safe Trick-or-Treating, games, and a performance by the Zionsville High School Jazz Band at 5:20pm. The costume contest starts at 6pm! Zionsville Boone Village Shopping Center, 25 Boone Village, Zionsville, IN. Pirate’s Revenge Haunted House. Join The Children’s Museum Guild for their 52nd Annual Haunted House now through October 31st. There are various scare levels and hours so be sure to check out the Indianapolis Children’s Museum website. 3000 North Meridian Street, Indianapolis, IN. Zionsville, IN has no shortage of great neighborhoods and subdivisions to Trick-or-Treat in, the Trick-or-Treat hours city-wide are from 5:30pm – 8:30pm. Stay safe this Halloween season, but, most of all have a great time with your friends and family! We hope you enjoy the Halloween season here in Zionsville! If you are traveling to Zionsville this fall and are interested in learning more about what this great city has to offer please contact a Zionsville, IN real estate agent. We’d love to hear from you!